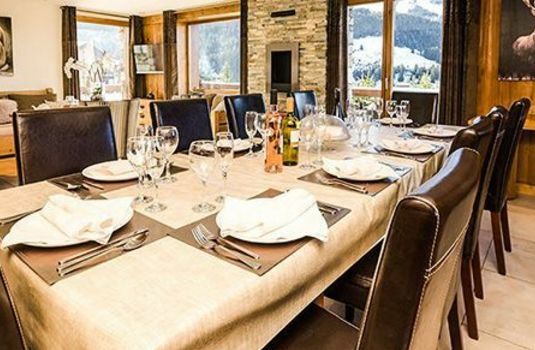 Chalet Golden Eagle is a lovely light five-bedroom chalet conveniently located in Courchevel 1650, accommodating up to ten guests. 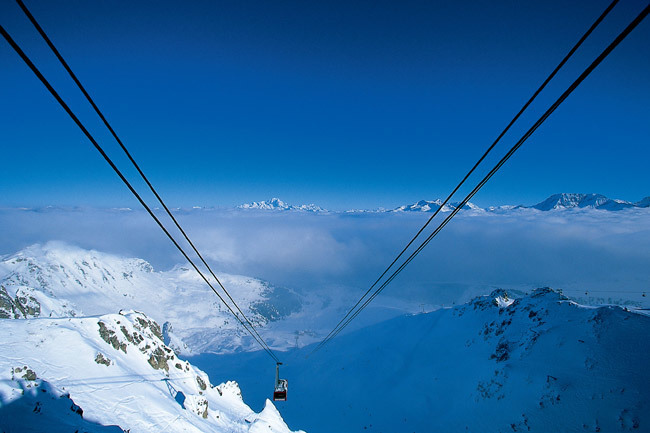 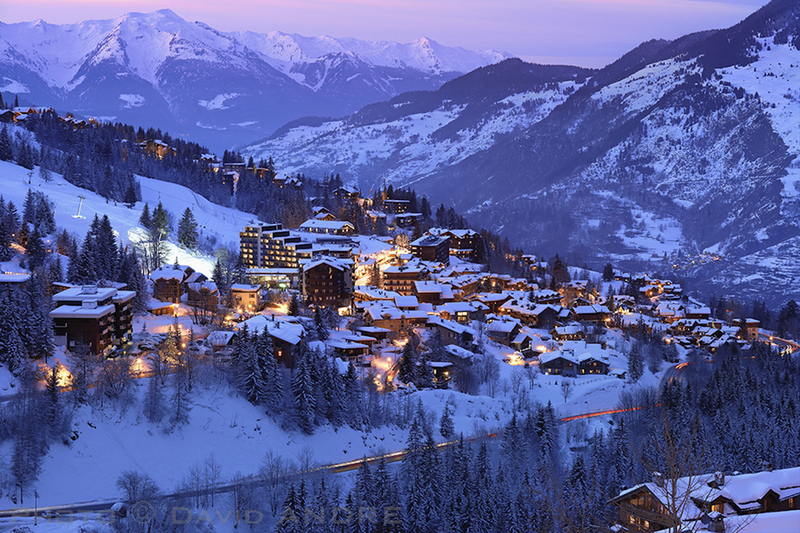 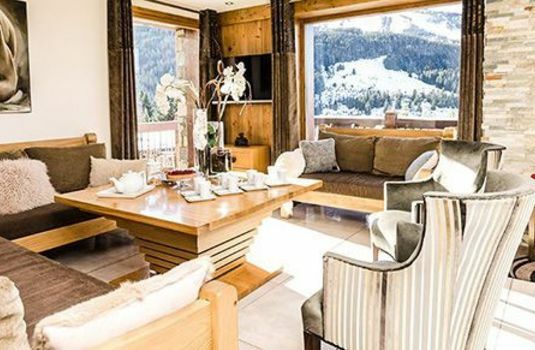 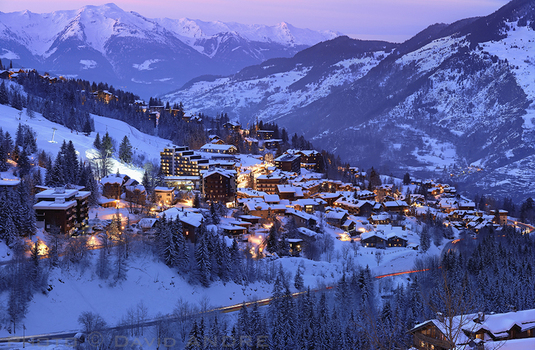 Its large south-facing balcony makes the most of the sun and spectacular views over the Three Valleys and beyond. 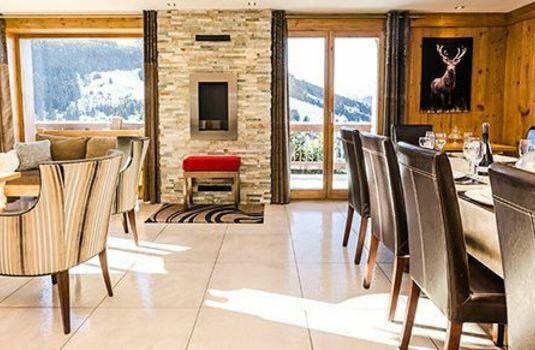 A perfect place to enjoy sitting with a glass of something whist watching the sun set. 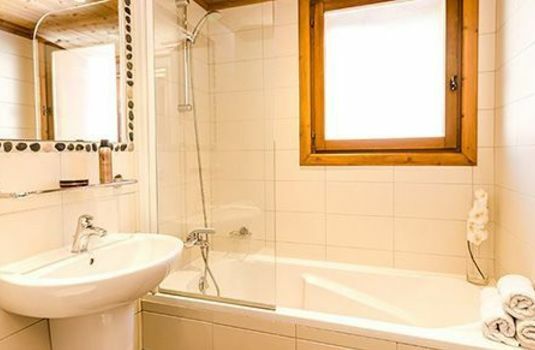 To relax you even more, there’s a hammam to sooth aching legs after a day on the slopes. 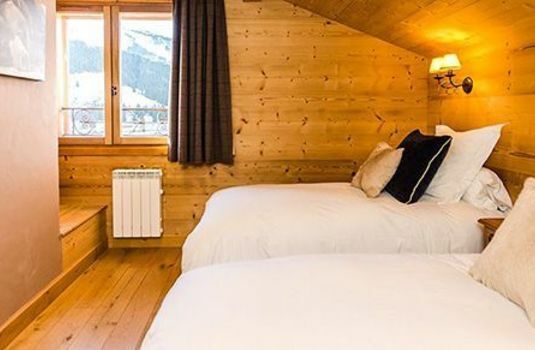 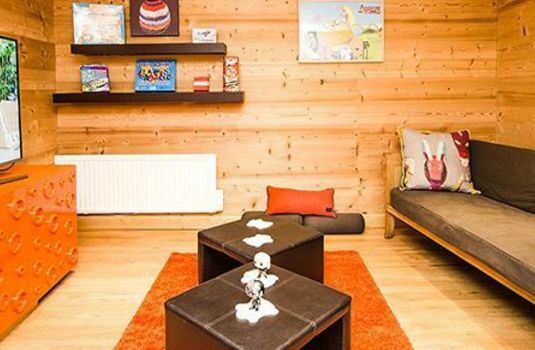 A traditional chalet from the outside, yet contemporary light filled space within, Golden Eagle has five bedrooms all en-suite with an open plan lounge with seating set around picture windows and fire place. 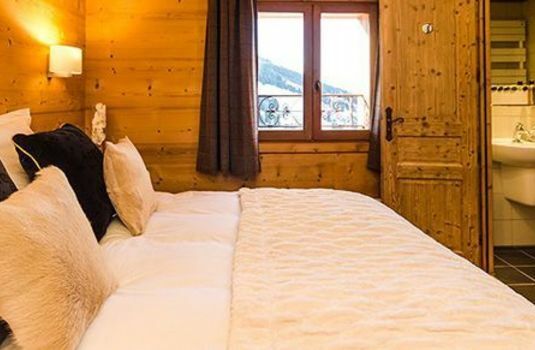 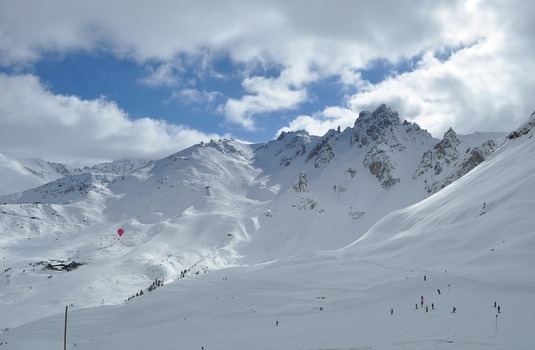 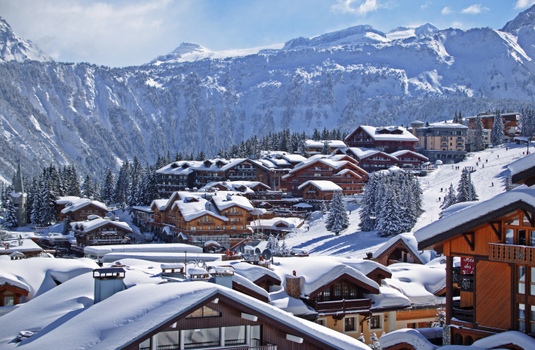 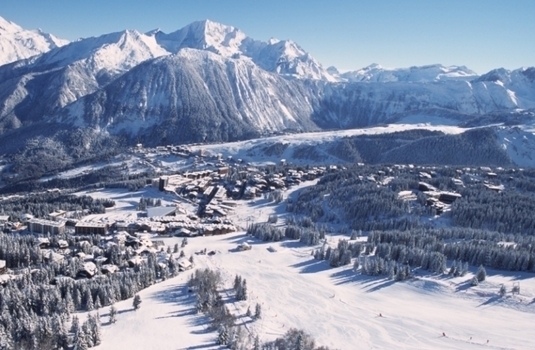 The chalet is situated behind the main high street, with access to the slopes via the resorts escalator which is a five-minute walk.